So apparently maps are everywhere now. I think it is super easy to get caught in this trend because most people love to travel and wish they would travel more. 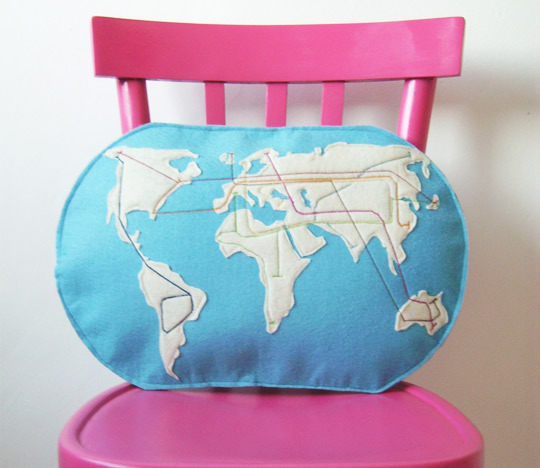 Having map inspired decor around makes me think about travellig and new adventures. Also, I love this trend because it is an invitation to DIY. I mean, just get a map that you love, frame it, and you have a personal wall art. 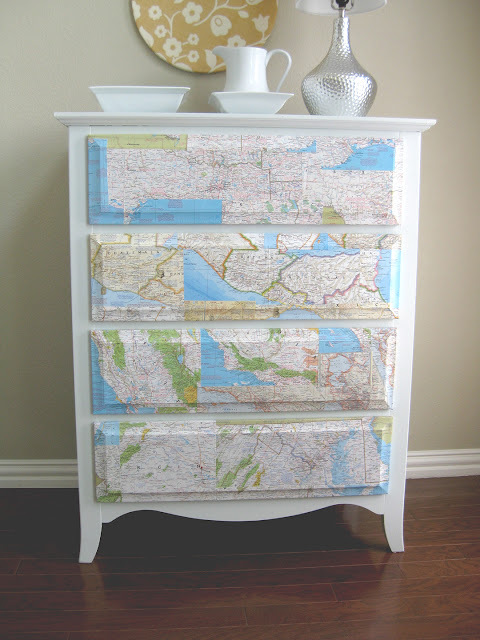 As an idea, you can get a map of the place you and your partner met, frame it, write something romantic and then give it to her/him as a gift. Accents are easy to incorporate in a room. 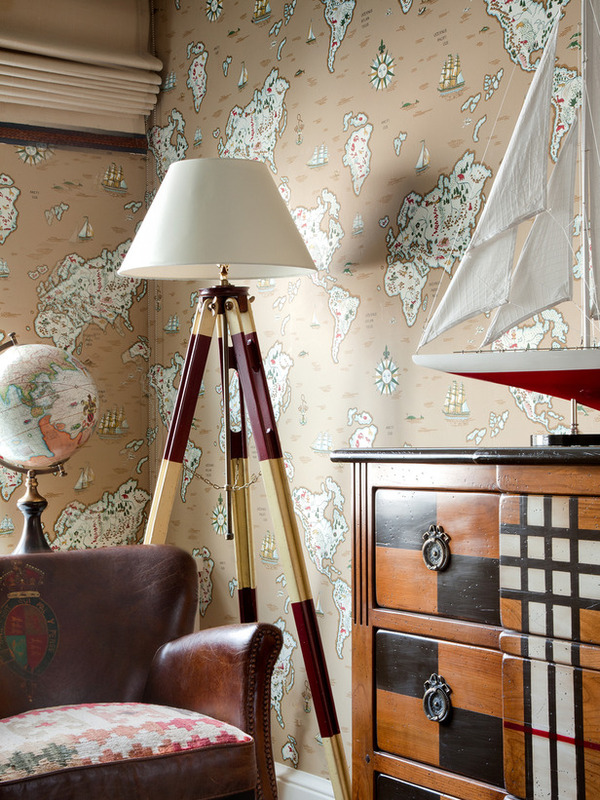 I find that maps wallpaper or big maps wall art is best suited in home offices, but I have to admit that using it in a boy's room is super-adorable. 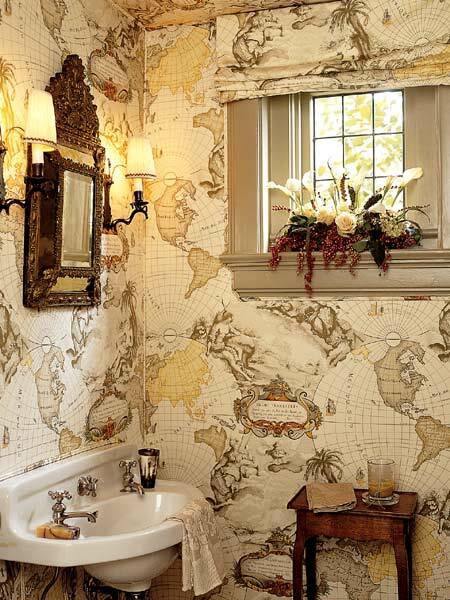 Once you have this wallpaper on, you can go all-out in a kid's room, can't you? 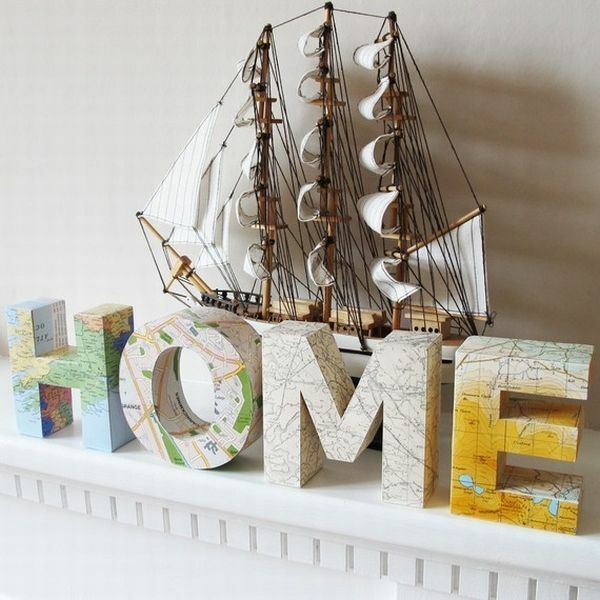 I mean lamps, boats, globes, pillows, related books on display, compasses...all for the little explorer! Stay inspired and go somewhere nice!